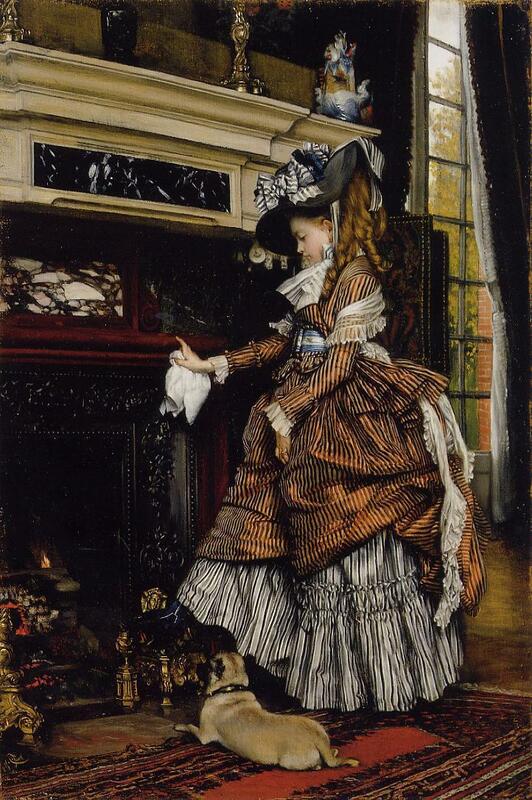 La Cheminée/By the Fireside (c. 1869), almost certainly depicting an interior of James Tissot’s sumptuous villa on the avenue de l’impératrice in Paris, was in the private collection of New York-based philanthropists John and Frances L. Loeb from 1955. American stockbroker Jerome Davis purchased it from them at Christie’s, New York in 1997 for $ 1,700,000/£ 1,046,991. When the stock market crashed and Davis fell into debt, he sold La Cheminée at Christie’s, London in 2003 for $2,334,780/£ 1,400,000. The Japanese Scroll (c. 1874) provides a glimpse of an interior from Tissot’s home in London, either 73 Springfield Road (now demolished), where he lived for a year from March 1872 to 1873, or his new Grove End Road house nearby. It was sold at Sotheby’s, London in 1985 for $ 285,802/£ 220,000. In 2009, it was sold at Christie’s, New York for $722,500/£ 446,787 (Premium). Autumn on the Thames, Nuneham Courtney (c. 1871-72), was sold at Sotheby’s, New York on October 19, 1984 for $ 200,000/£ 167,855. Nine and a half years later, on May 26, 1994 it again was sold at Sotheby’s, New York, this time for $ 425,000/£ 281,270. Nuneham Courtney, near Oxford, was a popular destination for picnics after a row or punt up the Thames. 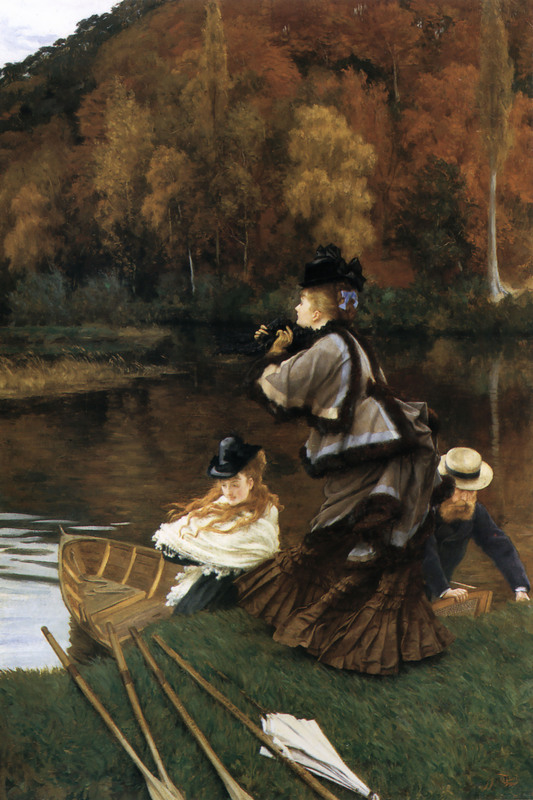 Art historian Nancy Rose Marshall points out that this picture was more likely painted between 1874 and 1876, when Tissot used the same blonde model in the foreground in Quarrelling. 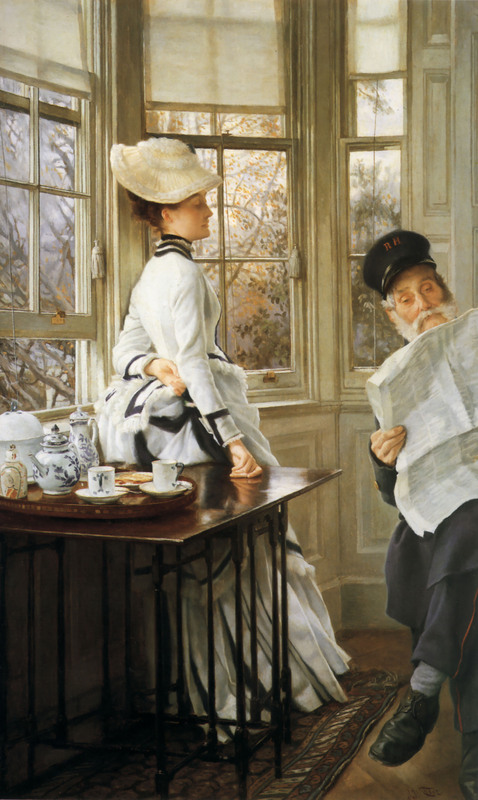 Reading the News (1874) was sold at Christie’s, London in 1947 for $ 1,168/£ 290 – and then in 1983 for $ 252,892/£ 170,000. Just six years later, it was sold at Sotheby’s, New York in 1989 for $1,250,000/£ 797,295 – at that time, the highest auction price on record for an oil painting by Tissot. On February 17-18, 1993, four important paintings by Tissot were put up for sale at Sotheby’s in New York, by art collectors Joey and Toby Tanenbaum, a Canadian couple with a family fortune based on steel. They bought their Tissots in the 1970s but had become more interested in 17th century Spanish and Italian works. They needed cash and hoped the paintings would fetch the 1989 record for Reading the News. As it turned out, on February 18, 1993, Christie’s offered two major Tissot oil paintings at its sale of 19th Century European Paintings, Drawings & Watercolors. One of them, L’Orpheline/Orphans (1879), beat the 1989 record – bringing $2,700,000/£ 1,867,865. 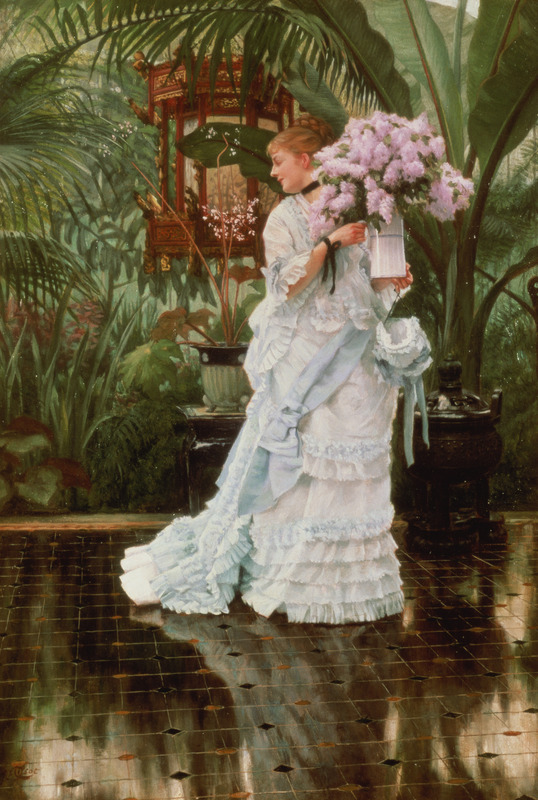 Tissot made a smaller replica of this enormous (85 by 43 in., or 215.90 by 109.2 cm) painting. The smaller version, measuring 46 by 22 in. (116.84 by 55.88 cm), was sold at Christie’s, London in 1994 for $ 1,497,765/£ 930,000. Then there’s the diminutive Going to the City, which was sold in 1976, at Sotheby’s, Belgravia for $ 16,497/£ 8,500. In 1990, it was sold as Going to business at Sotheby’s, New York for $180,000/£ 106,559. Loveliest of all, The bunch of Lilacs (c. 1875) was sold at Christie’s, London in 1877 for £ 346.10s, but failed to sell at the same auction house in 1881 for £ 236.5s or in 1887 for 167.15s. It was sold at Christie’s, London in 1975 for $15,249/£ 7,000, then once again at the same auction house for $ 134,235/£ 75,000 in 1982. The setting is the new conservatory in Tissot’s St. John’s Wood house at 17 (now 44) Grove End Road. (The plan for the extension with a studio and a conservatory, by architect J.M. Brydon, was featured in The Building News in 1874.) Incidentally, I find it likely that the model for this picture was British painter Louise Jopling’s blonde sister, Alice. Louise (1843–1933) wrote of Tissot in her autobiography, “He admired my sister Alice very much, and he asked her to sit to him, in the pretty house in St. John’s Wood.” In this photograph of Louise and her sisters, look at the blonde on the left, in the back, and compare for yourself! 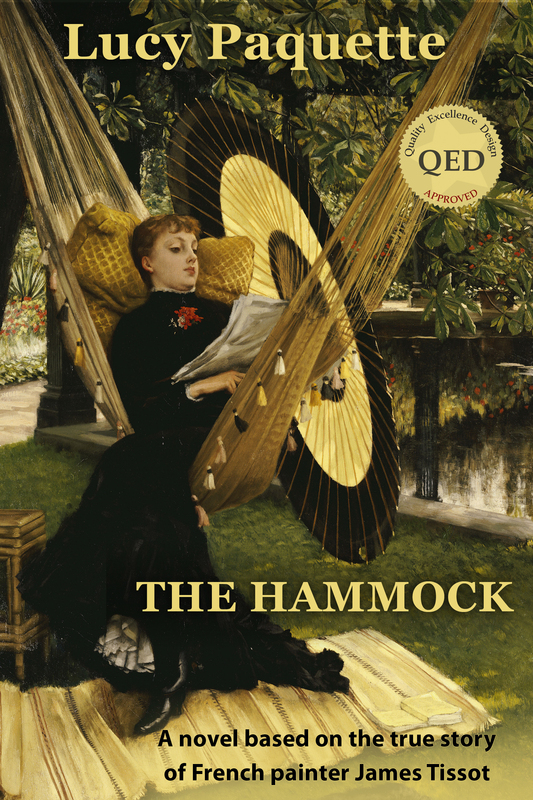 This entry was posted in Art blog, Art History, Impressionists and tagged James Tissot on May 21, 2013 by Lucy Paquette, author of The Hammock: A novel based on the true story of French painter James Tissot.